This discussion was created from comments split from: Windows Phone/PC Bugs & Issues. hi everyone i just wanted to ask why i didnt get the new updates on my laptop ? I would like to ask the same question. When I search for updates on my laptop it says that there is none. I did everything: force closed, cleared cache in browser, reinstalled and I still don't have it. I play on Windows 8.1 laptop. 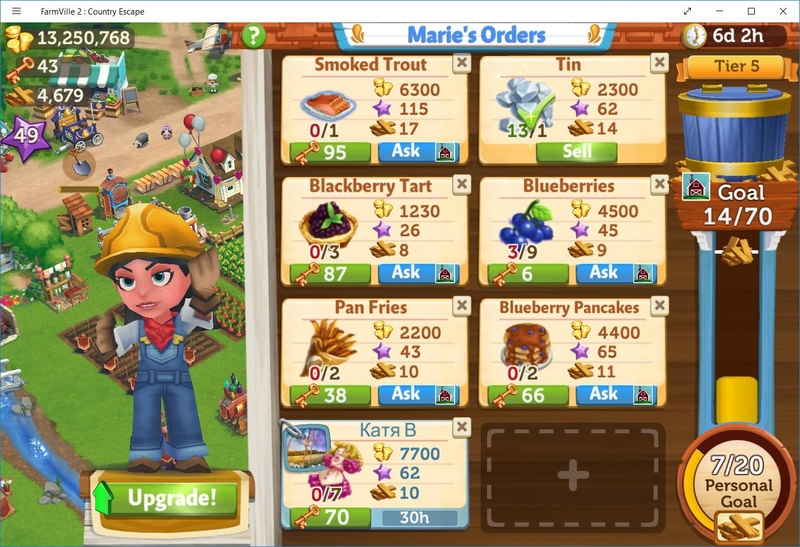 I have the same issue with staying logged into Facebook on my PC but also an additional problem: I keep having the global farm market freeze on me for about 5 seconds or so when I'm using it. It always does it when I open it up, and then after every time I scroll down. Same here with my friend. But that seems to depend on the PC you are using. With a desktop Win 10 there are no problems (besides the Facebook login bug) but with her Notebook she has to wait several seconds before the market opens. Now it stopped syncing the data completely. Unfortunately Zynga support seems to be dead in terms of web site updates. There is no Windows 10 in the forums or the support page. This is ridiculous. I have a phone with Windows8. Is CE only compatible with Windows 10? I've had trouble with the game opening and currently play on my Android in the meantime. We appreciate your report, guys. This issue with unable to update on Windows 10 is still being fixed. Stay tuned for updates here or you may also check out this section for news. Thanks for your patience and understanding. I'm having a problem that's causing the global store a delay of any where between 5 to 8 seconds after just moving thru 2 stores. It takes about 1.5 minutes to get thru the global store. 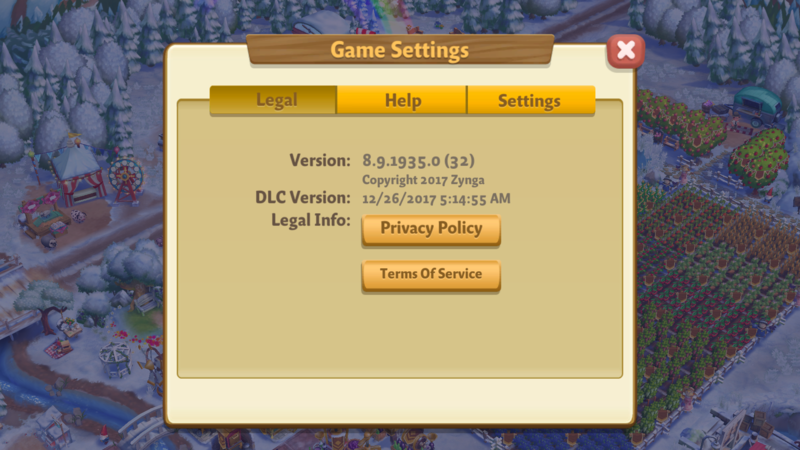 I also have to log in everytime I open the game. I'm using a pc with windows 10. Constant freezing with EVERYTHING. Can't purchase anything basically unless it's the 1st or 2nd store. Continually losing ground because of the constant freezing with no tech help at all. Addendum to above: Fruit, crabs, shrimp, etc sometimes to fly off, adding to my storage and causing me to sell when I don't want to sell. I just want to detail. This problem causes the win 10 desktop app, not the web-based app!!! I am having a horrible problem with lag...only on my laptop...win 10 's. Can't update and when trying to do anything I get about 30 secs to do it and 60 seconds of wait time!!! Can someone tell me how could it be? F.e. 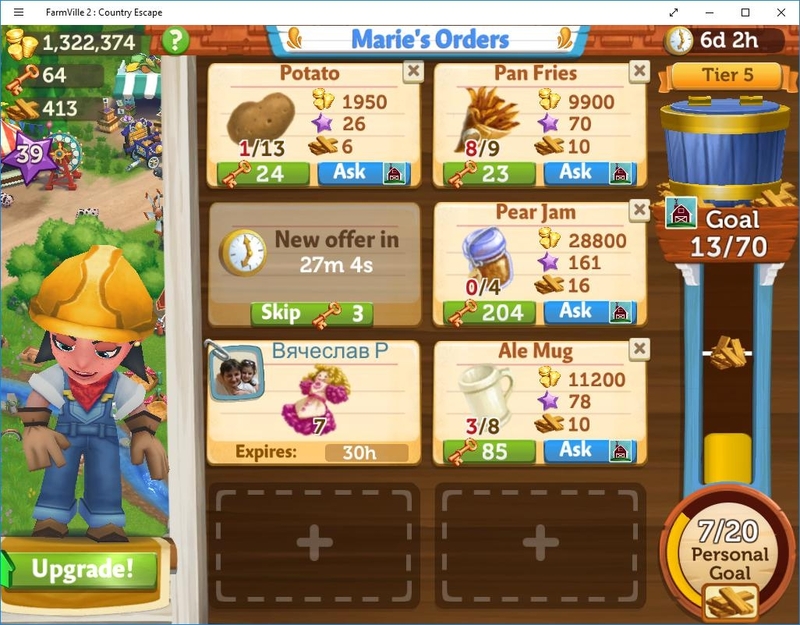 look at the order with "Pan Fries"
this is getting rediculous, i can't buy stuff on the global market because the game freezes and i watch helpessly as someone buys what i need or want. also, the screen when it unfreezes in the game jumps all over the place and i don't know where i am going to end up. before i log into the game i shred all the temp files but the game loads it back up as soon as i log into it. i believe i am going to have to put this game on hold until zynga does something about it. i do not believe they are really working on the problem but just give us lip service to keep us quiet. i can not connect to the internet at all on my pc to Farmville but, my internet is working fine on everything else? 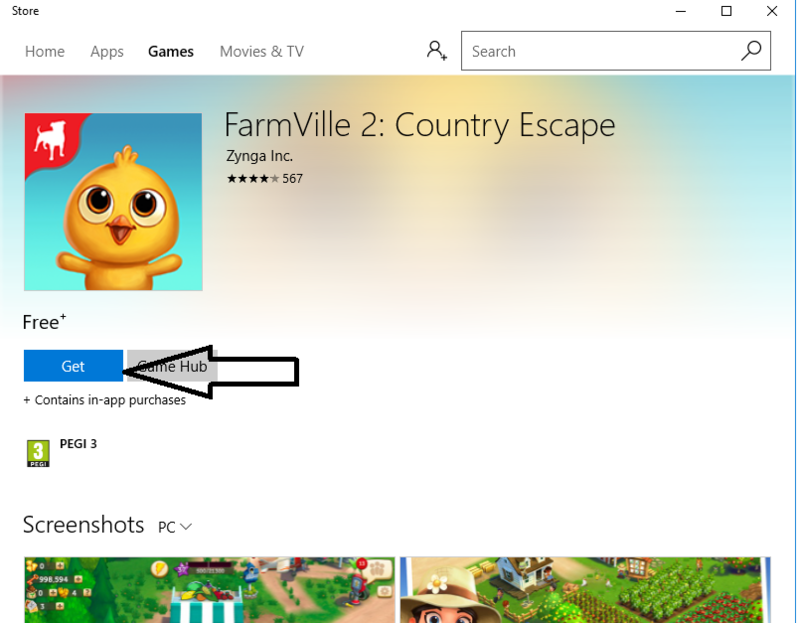 It updated my Farmville to 10.2.2528.0 and now I don't have Pikes landing and I cannot connect to the internet but my internet is working just fine. I really need the internet, I'm pretty sure I won last weeks county fair! FV2 does not work on windows 10 laptop...constantly have to reload. It works fine on windows xp desktop. My guicksedd has Bern frosne for sin dages . No helproblem from zynga. I amerikanske andre daglig player. But? ?? Poor service. What is the newest version for Windows 10? The Win10 version tells me I need to upgrade to sync my cloud saved game. I had to start over again at level 1. It happened last week also. I don't know how i got it back (level 64) for a couple days. Level 64 is connected to FV2 on FB. Not able to get the game for PC at all. It says something happened on your end. Whilst this is probably painful and I hope you get it fixed, I really would like to play this on the PC as well as the android... Attachments attached (as they should be).